The rim is woven with an intricate scallop and double braid which gives this basket its elegant appearance. ~ and the filled base won’t allow the escape of even a single jelly bean, marshmallow peep or malted milk egg! 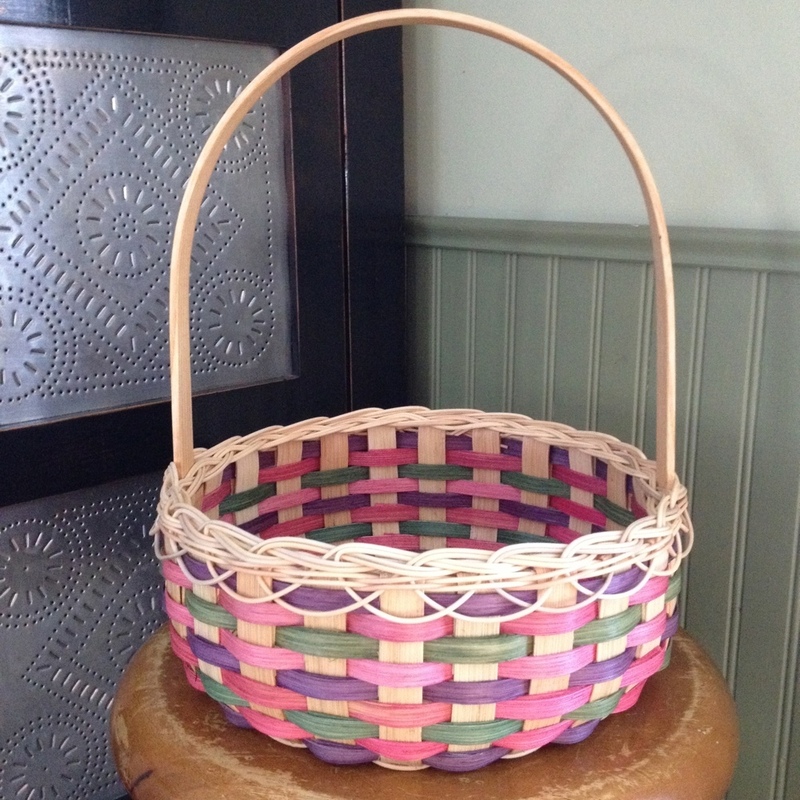 The Victorian Easter Basket is sure to become an heirloom and withstand years of Easter egg hunting. Any lever of weaver will enjoy this fun project so click here to purchase the pattern. Thank you for another awesome pattern! I can’t wait to try that rim! This is precious! Is this month not free or am I overlooking the link to download?